Valve Time is a myth, by and large – Gabe’s army have released a game every single year since Half-Life 2. That said, don’t clear room under your telly for a Steam Machine just yet. We won’t see case nor cable of any until next year. Valve posted a Steam Machine update to the Steam Universe group this morning. “It’s great that you’re excited about it, and we know you appreciate it when we keep you in the loop on stuff like this,” they said, building tension for the ‘but’. 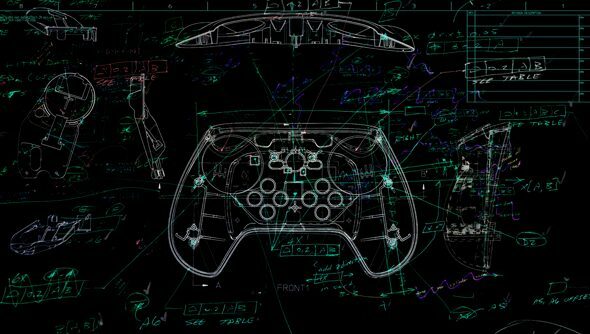 It turns out the Steam Controller’s announcement to the public and games industry has opened it up to a far broader spectrum of playtesters – and with that, plenty of “useful feedback”. In short, the controller has pushed back Steam Machines to a 2015 release window, not 2014. We can expect more updates along the way. Tester feedback has already seen the Steam Controller lose its touch screen and gain a more traditional button layout. Do you prefer it that way?